190 pages | 11 B/W Illus. The world’s key resources of energy, food and water, which are closely connected and interdependent on each other, are coming under increasing pressure, as a result of increasing population, development and climate change. In the case of China, following its recent economic surge, energy, food and water are already nearing the point of shortage. 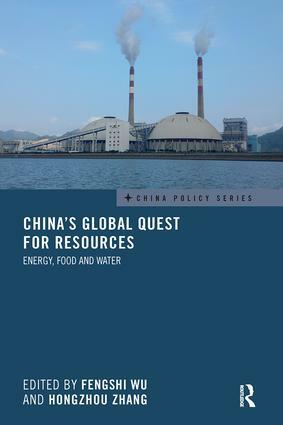 This book considers how China is working to avoid shortages of energy, food and water, and the effect this is having internationally. Subjects covered include domestic policy debates on China’s resource strategies, challenges for managing transboundary waters related to China, responses from various regions and countries to China’s ‘Go Out’ strategy, and China’s increasing energy links with Russia and declining agricultural trade with the United States. The book concludes by discussing in comparative perspective China’s outward resource acquisition activities and the consequent policy implications. WU Fengshi is an Associate Professor in the S Rajaratnam School of International Studies, Nanyang Technological University, Singapore. ZHANG Hongzhou is an Associate Research Fellow in the S Rajaratnam School of International Studies, Nanyang Technological University, Singapore.